Dunder Casino has been open to UK customers since 2015. It is part of the MT Secure Trade Ltd group of sites with license from Malta and the UK. Dunder offer over 1,000 games across slots, RNG table games and live dealer, with top titles from all the biggest suppliers, including NetEnt, Microgaming, Play n Go, Quickspin, Thunderkick and many more. The Dunder site is instantly recognizable for its super-slick design and panoramic photos of luxury beach resorts! This one is definitely dressed to impress. And the experience matches the outfit – you get a wide range of payment options, less than 24 hour withdrawals, and a regular rewards program including bonuses and free spins. If you’re looking for a great slot selection hosted by an experienced and reliable casino team, then Dunder fits the bill. Big Time Gaming – This notorious slots provider from Syndey Australia are the hottest thing since sliced bread in 2018. Why? Because they are producing some of the craziest high variance titles ever created. New title, Extra Chilli is one of the most anticipated games of the year! And at Dunder, you can choose from their best slots, including Bonanza, White Rabbit, Starquest, Danger! High Voltage and Dragon Born. Thunderkick Games– An awesome Swedish slots provider who has been delivering some really crazy leftfield games since 2014. Their games are all available at Dunder Casino, including favourites like Birds on a Wire, Pink Elephants, Fruit Warp, Esqueleto Explosivo and The Rift. NetEnt – You’re already scoring 200 free spins (if you deposit) as a new player at Dunder, so you know this slot site is offering NetEnt’s catalogue. Once you’re done with that game, get your teeth into Gonzo’s Quest, Hotline, Asgardian Stones, Universal Monsters™ – The Phantom’s Curse, Twin Spin, Wild Water … and the rest! Microgaming – tons of great games to enjoy from this industry giant at Dunder. Try classics like Immortal Romance, Thunderstuck II, Deco Diamonds, Avalon 2, Game of Thrones, Halloween, Jurassic World and plenty more. Yggdrasil – If you’re after something a bit more off the wall, Dunder are hosting some of Yggdrasil’s funniest and most entertaining titles. Take a spin on Vikings Go To Hell, Ozwin’s Jackpots, Gem Rocks, Rainbow Ryan and Valley of the Gods to see what we mean! Quickspin Slots– If you’re into your slot games packed with Wilds then don’t forget to try Quickspin’s games, many of which are available at Dunder. Titles like Pied Piper, Hidden Valley, Northern Sky, Mighty Arthur and Sticky Bandits are amongst their best. 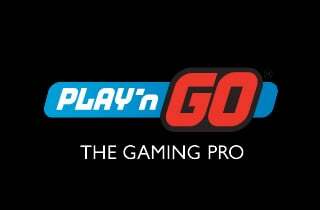 Play n Go – For those who like the thrill of a high variance game, Play n Go are definitely worth checking out. At Dunder the selection includes recent titles like House of Doom, Imperial Opera and Planet Fortune, as well as Moon Princess, Mystery Joker 6,000, Bugs Party and Hugo 2. Progressive Jackpot Slots – If you’re hunting down the top prizes then there are also a lot of Progresive games to play here. Some of the biggest jackpots in the world are available, including the Mega Moolah and Mega Jackpots series. So that’s a small selection of games from our favourite suppliers for Dunder customers, but there are plenty more to look at. Others include Evolution, Next Gen, ELK Studios, Red Tiger Gaming, IGT and Amaya. Join Dunder now to start playing! Dunder Casino is not just about the slots. There is also a big range of live dealer games to try. Live casinos are a great break from the slots, and a more sociable way to spend your time online. The action is streamed live from studios with real tables, card decks and of course, croupiers! At Dunder you can play Live Blackjack, Live Roulette, Live Casino Hold Em, Live Three Card Poker, Live Baccarat and Live London Roulette. The number of tables is not as big as that found at other sites, but there is still a good selection. If you want more Live Dealer action, try Super Lenny where there are 47 tables in all. The welcome package at Dunder Casino is one of the most generous of any UK slot site right now. As well as an initial 20 Free Spins on NetEnt’s Starburst slot on registration, all new customers are eligible for a further 180 free spins and up to £600 in bonuses across the first three deposits. The minimum deposit to qualify for each deposit bonus is £20. Free Spins winnings are credited as bonus funds and come with a 25x Wagering Requirement before they can be withdrawn. Bonus Funds come with a 25x WR on the total amount of the bonus PLUS the deposit. There is a 30 day expiry on any bonus funds from the day they are credited. Should you choose to make a withdrawal before the WR have been met you will forfeit any funds in your bonus balance. In summary, this is a pretty decent welcome package – the spins do come with WR unfortunately and are tied into Starburst (not everyone’s favourite) but the 25x is very fair and competitive. For Dunder Casino’s regular players the offers come thick and fast. On top of your welcome offer you’ll find new promotions waiting for you when you sign in – clearly marked on the home page. In particular, Dunder are clever at offering bonuses for new games when they arrive to give you the chance to try them out. We have regularly enjoyed free spins rewards on deposit to try out new slot titles during the week they are released. Make sure you’re opting in to receive email and SMS offers each week, and if you can’t see any in your account, try asking the Live Chat support agents to find out what’s currently live. Dunder Casino Website – How Does It Look? The MT Secure Trade group of slot sites are all characterised by their unique branding and look and feel. They followed in the footsteps of Casumo in breaking away from the old style of casino design and creating immersive and individual experiences. Some of the best examples of this are SuperLenny, Cashmio and the new casino, High Roller. Dunder was one of the first sites in the group and whilst it doesn’t have the same ‘gamification’ model that Cashmio and others do, it is still distinct for breaking the design mould. Here you get a panoramic view of a luxury beach resort, the kind of place you might find on a Caribbean island, and unusually, you see a famous quote planted in the middle of the screen to welcome you for the day. So you might find yourself reading the words of Steve Jobs – ‘Your time is limited, so don’t waste it living someone else’s life’ or Audrey Hepburn – ‘Nothing is impossible, the word itself says “I’m possible”. It’s an unusual approach, but it works for us. But onto the important stuff … and the game catalogue is really neatly presented – you can choose from last played and recommended lists – or look for the ‘categories’ icon in the top left of the menu to filter through and break down the games by themes, provider and types (wilds, bonus rounds etc.). It’s a nice way to break up the menu, making it easier to find what you are looking for. Our only gripe is that we can’t search by volatility, RTP or paylines. In summary, this is a slick looking casino with a class interface, and it transfers really well into the mobile environment too. Dunder offer a good range of deposit and withdrawal options in the UK – choose from Visa or Mastercard for debit and credit card slot deposits. We also recommend trying eWallet options that are convenient, safe and secure, like Neteller and Skrill, or bank transfer option, Trustly. UK slot sites are getting better at processing withdrawals at an acceptable speed and most now complete transactions within 24 hours. This is true of Dunder Casino where you can expect to see the money leave your casino account in just a few hours. In order to make sure that the process runs as smoothly as possible we advise you to verify your account at the earliest chance you get. Account verification is necessary under UK law to prevent money laundering, fraud and under-age gambling. Most casinos now ask for ID documentation (passport, utility bills, front and back scans of your credit or debit cards) before you can make any significant withdrawal, and Dunder is no different. Unlike some slot sites Dunder do not provide the option to upload your documents through your account – just email them to verify@dunder.cominstead. For more informaiont, check out our Account Verification Guide. NOTE:The minimum deposit and withdrawal amount at Dunder Casino is £20, whilst the maximum withdrawal at one time is £5,000. The maximum deposit that can be made at one time is £10,000. Dunder Casino operates under a UK Gambling Commission license and is required to provide tools to its customers that allow them to manage their gambling time and money online. You can set your own limits on deposits, wagering and losses using these tools. Players can also set up Time Outs (during which an account is locked) and Self Exclusions (during which an account is locked and the operator cannot contact the player). These are useful ways in which to limit your gambling time, or at least keep it under control. You can learn more in our Responsible Gambling guide. Dunder Casino support is available on Live Chat and Email, although unfortunately not on a 24/7 basis. The Dunder Live Chat is open from 10am to 12.30am (CET). This is a shame because in most areas Dunder deliver an exemplary service. There is an FAQ section that has some pretty comprehensive Q and A however if you have a query out of hours. There are some good responses to typical questions about banking, account verification, bonus terms and responsible gambling. Dunder has great pedigree as a casino brand and with 2 years and counting trading in the UK market it is no surprise that it has picked up some accreditations for its service. These are industry influencers whose opinions hold some sway. MT Secure Trade are licensed by the Malta Gaming Authority under license MGA/CL1/954/2014 and MGA/CL1/955/2014. MT Secure Trade is also licensed and regulated by the UK Gambling Commission under license 039575-$-319439-002.